DanceDanceRevolution X2 is out today in Japan. This new version of the popular dance game from Konami offers a "Happy mofr" with licensed titles and popular dance tracks without complex selection, ideal for new players. The veterans are not forgotten with the "Pro Mode" featuring new tracks recorded specifically for this game mode. 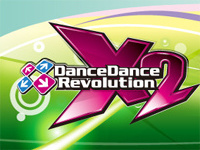 A total of over 400 songs are present including more than 70 new titles, some composed by regular artists of the series: dj TAKA, Ryuâ˜† and kors k. DanceDanceRevolution X2 supports the e-AMUSEMENT PASS which provides access to rankings, allow management of personnal data, ... DDR X2 is available as an upgrade kit for DDR X and DDR SuperNOVA. 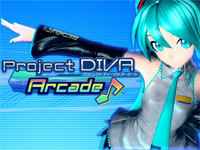 Since yesterday, Hatsune Miku Project DIVA Arcade, a music game by Sega, invades gamecenters in Japan. 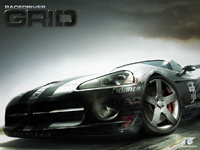 This arcade version of the PSP title features considerably improved graphics and extra songs. The cabinet has 4 large buttons of different colours which the player must press on time with the sequence displayed on the screen. The game runs on RingEdge hardware and cabinets are connected to the ALL.Net network allowing online ranking publishing and additional fan-created songs download. The basic song offer includes Magical Sound Shower (Out Run) and Ievan Polka, a traditional Finnish song popular on the Internet thanks to the flash version showing Inoue Orihime spinning a leek. Four difficulty modes are available ranging from Easy to Extreme. By earning VOCALOID points, the player can buy additional costumes for Miku. About VOCALOID, it is a voice synthesis program by Yamaha that generates a song from a melody and lyrics. Miku's voice has been sampled from that of Saki Fujita (Bleach, Angel Beats!). 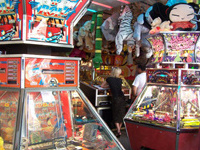 The machine is equipped with a touch screen to select the game options. 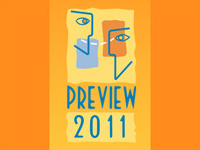 Preview 2011 exhibition that would be held in London on October 20 and 21 is cancelled. Organizer Howard & Wikberg Promotions had to make this difficult decision due to the very bad health of the British coin-op market. Next year, the situation will reviewed and factors such as a better economic climate, improvement in the coin-op market and concessions made by the new Governement towards the industry could make the Preview 2012 happen. 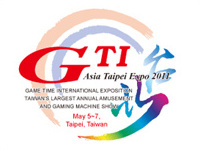 Meanwhile, next big amusement trade show in London will be EAG Expo in January 2011. 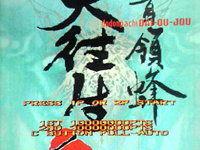 A special edition of 2002 Cave shoot'em up "DoDonPachi Dai Ou Jou" is released today. Named Tamashii, this new version features an easy mode for beginners. This title is available in PGM2 cartridge format and since it's aimed at Chinese market, the game features this language but can be switched to English. Only a few units were manufactured. The full kit including both mainboard and cartridge can be ordered for €800 at Excellent (Hong Kong) and Sophia Corporation (Tokyo). 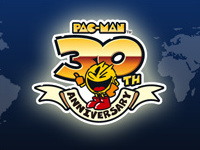 Here's 30 years that Pac-Man chases ghosts. Namco Bandai Games has decided to celebrate this anniversary with a website created for the occasion. Here, you will discover many products: t-shirts, toys, costumes, wine glasses, a wallet and a limited edition wrist watch (500 copies worldwide). Google search engine joins the party with an "Insert Coin" button on its homepage. This button allows you to play Pac-Man in a level representing the Google logo. The game is complete with intermissions. Clicking the button a second time causes Ms. Pac-Man to appear and allows simultaneous multiplayer gameplay (use WASD keys to control the second character, too bad for Azerty keyboards). About multiplayer, a new arcade game made an appearance at the Amusement Expo 2010 (Las Vegas) two months ago and will be featured at next month's E3 Expo (Los Angeles). It's called Pac-Man Battle Royale and allows 4 players to compete simultaneously on a cocktail table. R3PLAY (pronounced "Replay") is a brand new show celebrating gaming history. Presented in association with Retro Gamer and gamesTM magazines, this event aims to make discover to gamers of all ages gaming systems from the 1970s to present day. More than 300 systems will be available in free-play: consoles, coin-ops (retro and new) and computers. Visitors will have the opportunity to take part in prize gaming competitions, listen to Q&A sessions with guest speakers, participate in workshops, view galleries of video game artwork, win raffle prizes, tender bids in a special auction, purchase games, systems and memorabilia. 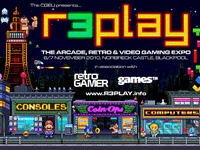 Hosted by TV personality and videogame fanatic Gail Porter, the R3PLAY expo will take place at the Norbreck Castle Exhibition Centre in Blackpool on November 2010 6th and 7th. Prices are £12 for single-day entry and £20 for a weekend ticket. Visit the official website for more info. 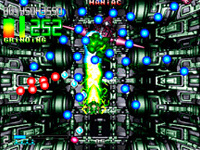 A new vertical shooter will soon emerge for the Neo-Geo MVS, its name: Fast Striker. The game will feature six stages, will feature more than 40 different enemy types and 3D backgrounds. Emphasis is placed on scoring and there are three different game modes: beginner, original and maniac. The technical side is impressive since the game is 1560 megabit (never seen before on this hardware)! Accordingly, we will be entitled to a soundtrack of more than 25 minutes of stereo digitized music. An online ranking system will be established and it will be possible to update the game via an USB connection on the cartridge. Behind this production, we find the German developer NG:DEV.TEAM already responsible for Last Hope on Neo-Geo and Dreamcast consoles. Two versions are announced, one for commercial use and another one for private use. There are already some screenshots on the Fast Striker website. As you can see, it's vertical scrolling on horizontal screen. An ideal way to revive those old MVS cabinets out there.